Attract qualified customers to your site quickly. PPC, a method of online advertising, is a cost effective way to attract customers already searching for your product or service. You can quickly generate traffic and sales for your website and only pay for customers who actually click on your advertisement. 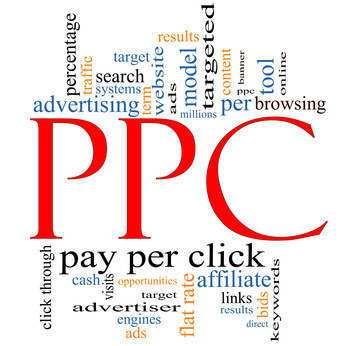 Talk to our PPC experts to learn how your business can benefit from Pay Per Click advertising. PPC is an important part of your online marketing strategy that can place your business in front of customers looking for your product or service. Don’t wait for your customer to find you, go out and find them, quickly. Make your business visible, attract traffic and increase your conversion rates by placing your business at the top of Google search results. Click through rates are small because, that’s what you want. Only talk to potential customers definitely interested in your product. Don’t wait for your customer to find you. Now you can go to where they are researching and buying your products and tell them to come to you. PPC is an important part of your online marketing strategy. The major search engines, including Google are successful because they provide a way for businesses to advertise on Google and access customers in a very cost effective manner. Be in control of when and how much business you want to generate. Track exactly how it is contributing to your bottom line. Get results quickly and build your brand. PPC is a cost effective way of generating traffic for your website. You are in control of increasing or decreasing your spend depending on your budget and the amount of traffic you are after. Start receiving leads or sales as soon as your campaign runs. You can also trial campaigns or products using PPC to gauge your customer’s response with instant feedback. Market to customers searching for your product or service and directly increase your website traffic. Lift the profile of your business. For every user clicking on your advertisement there are, hundreds or thousands more who have seen it. To maximise your campaign’s success you need to understand what is happening in your marketplace, who your competitors and what your customers are searching for. What are your customers searching for ? First you need to understand what your customers are searching for. Our market research includes a competitor evaluation and keyword analysis to understand your market and the cost of popular keywords. What do you want to achieve from your pay per click campaign? Do you want to grow your client base, create leads or generate sales by advertising on Google? The campaign will be focused on achieving these goals. Keywords are selected to maximise the success of your goals. Your content is just as important. You need to ensure your message is clear and customers understand your offer with just a quick skim of your website. When the campaign begins, traffic will start flowing to your site. Your account manager will take you through your campaign results including click through rates, conversions and website performance to tweak your campaign and maximise your results. Our team of PPC experts will guide you to PPC success based on our experience with current customers. Our focus is your ROI and we are only successful if we generate an ROI for your business. Our experience shows that detailed competitor and market analysis is crucial. Some markets can be expensive and oversaturated and it’s as important to know where not to advertise as where to advertise. We have deployed many successful PPC campaigns and can help you navigate along your PPC journey to ensure you get the maximum ROI for your campaign. We employ many tricks of the trade gleaned previous campaigns. For example, we know that targeted landing pages will dramatically increase your conversion rates. You will have a dedicated specialist PPC account manger to help you setup your campaign for success, analyse your reports and find ways of increasing conversion rates and your profit.